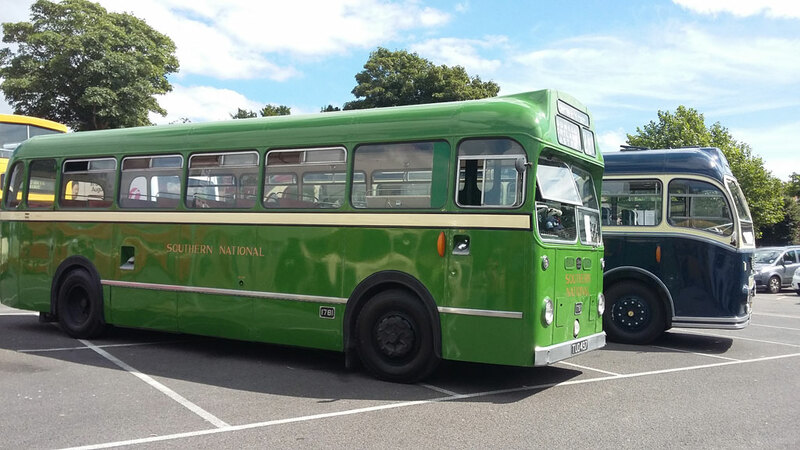 The second annual WHOTT Vintage Bus Running Day at Dorchester has been hailed a resounding success, with plenty of visitors coming to enjoy nearly 30 buses, coaches and commercials which were on display. For my part, I brought along an open top Bristol Lodekka which was actually a last minute replacement for the bus I had intended to bring. Following on from the WHOTT Coldharbour Mill running day earlier this year, I had intended to bring the same vehicle to Dorchester, Southern National 2700. However, a couple of days before Dorchester, the 1967 Bristol RELL developed an engine fault which couldn’t be fixed in time. The kind folks at Crosville offered open top FSF6G 891VFM (Crosville DFG81) instead, which turned out to be a very popular choice! The RE had been based at Weymouth (just 8 miles away) for the early part of its service life, which would have made it a very appropriate entrant for the Dorchester event. In my view its non-appearance was a blessing in disguise because another – older – Southern National bus was able to take pride of place instead. 1956 Bristol LS5G TUO497 is most of the way through a restoration project and its appearance at Dorchester was the first time it had been seen in public since it was laid up in a barn in 1980. I had an empty journey of 74 miles ahead of me when I arrived at the Crosville depot early last Sunday morning. As I opened up the garage and switched the lights on I wondered how many other buses I’d have to shunt out of the way before I could bring the Lodekka out. I was very pleased to see that, following a recent re-organisation of the depot, all the Crosville heritage fleet had been parked in an annexe to the main building, making it far easier than before to retrieve a heritage bus. By the time I’d arrived at the Top ‘O Town car park in Dorchester the sun was shining and other buses were being marshalled into position. 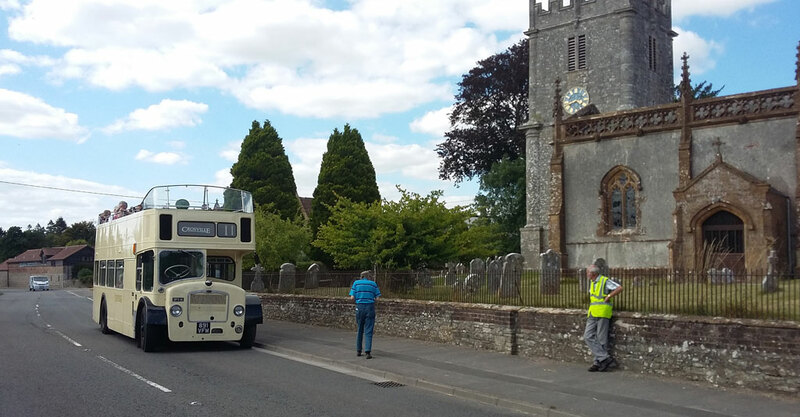 I reported to the WHOTT Control Bus and found that I’d been rostered for three trips out to Frampton Church (see top picture), the first of which departed at 12:40. This meant I had loads of time to browse among the buses and meet up with friends and colleagues. 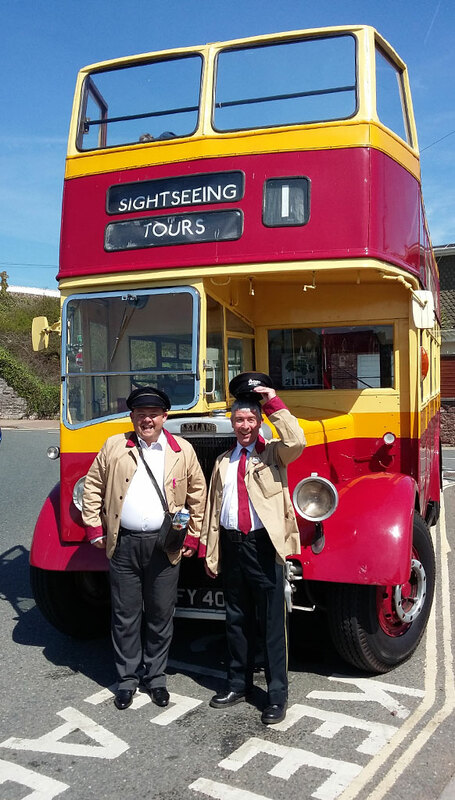 With the school summer holidays having kicked off, now is a good time to review the Sightseeing Bus season so far. This my main occupation during the summer months and, with two buses in operation now, I’m doing tours Monday to Friday. The operating season started in May, with the majority of passengers at the senior end of the age spectrum. Weather is always a major factor in passenger numbers and indeed whether we run at all. There was one day in May when foul weather – wall to wall heavy rain – was forecast so we elected to leave the open top Leyland PD2 covered up until the next day. June was much better, with improving loads as the month progressed. 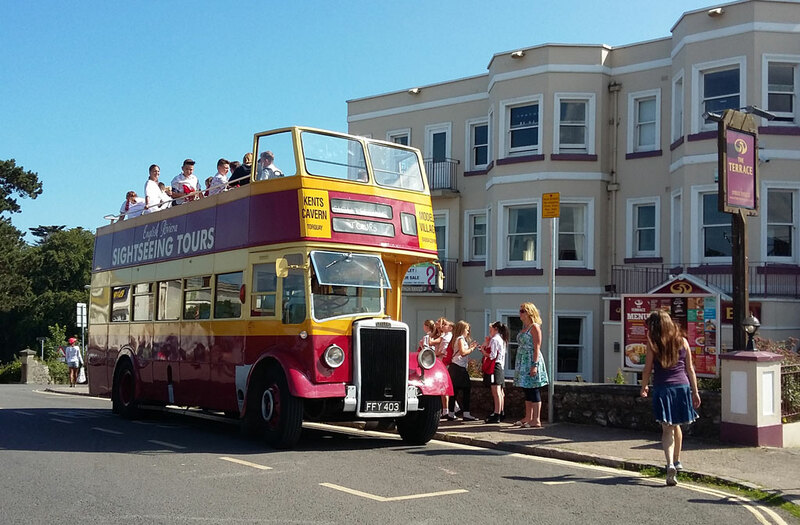 The last week in July brought the best day of the year so far, with 52 people on one tour. The bus has seating for 56 so we were virtually full. I’ll come back to that particular run later. One very pleasing development this year has been the decision of the operator to invest in some more busman’s dust jackets. Normally uniform is optional, with some crews opting to wear the more informal printed sweatshirts. Ever since I started, I’ve worn a traditional bus crew uniform and last year bought myself a burgundy and tan dust jacket that matches the bus livery. I’m glad to say that my regular tour guide has decided to wear a jacket and cap so we both look as if we belong! People do appreciate it and I’m sure it helps to draw in some of our older clientele, with whom the tradtitional style of uniform resonates. In the main photo above, the open topper has just stopped on Babbacombe Downs with a full load of primary school pupils. The bus had been hired as a Year 6 ‘Prom’ treat and we paused here to allow the children on the lower deck to swap places with those on top. You may have noticed that the bus now wears two front corner adverts. 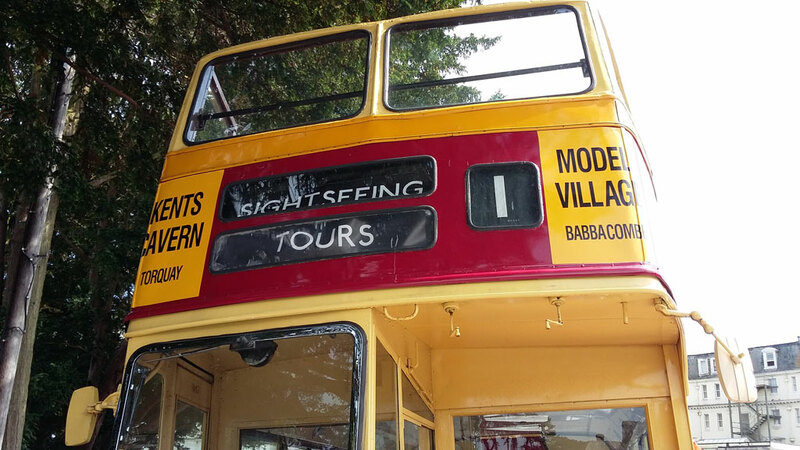 These promote two of our local attractions and have been produced in the same style as those which adorned our local Devon General buses years ago.